There is a startling new report just released by the Pan American Development Foundation, reporting that almost 225,000 Haitian children have been forced into child slavery in Haiti as a result of poverty. Most of the children – nearly 2/3 in fact – are young girls, and are subjected to extreme physical, psychological, and sexual abuse. Although the plight of these children is apparently commonly known, and is a source of great shame in the Caribbean country founded by a slave revolt, the practice of enslaving children has become widespread. According to the report, nearly half of the children interviewed in just one village (257 total ) were living as slaves. A previous count of the number of enslaved Haitian children was attempted by UNICEF in 2002. That attempt resulted in a count of 172,000 children, but was criticized as being a gross under-estimation of the problem. The current report used a broader counting methodology and was funded by the U.S. Agency for International Development (USAID). In May 2007, USAID awarded the Pan American Development Foundation $6.4 million to combat trafficking in persons, torture, and organized violence in Haiti. 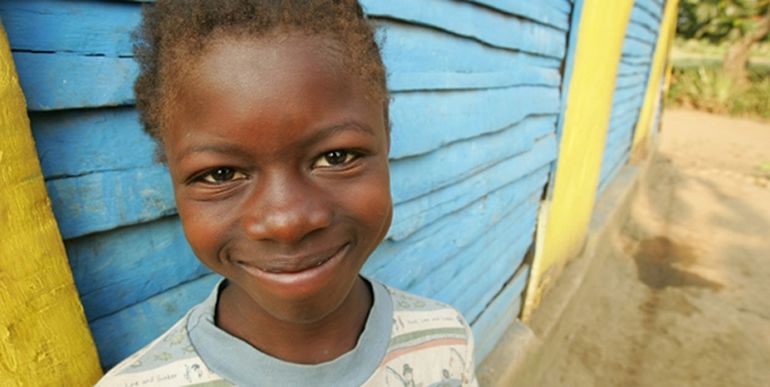 You can link to an excellent article discussing the problem of child slavery in Haiti here. The link here is a link to the Pan American Development Foundation. Finally, I am including a link to a resource showing the current state of slavery conditions in countries around the world as reported by the U.S. State Department, here. A disastrous earthquake struck the already impoverished island nation of Haiti on Tuesday. The quake measured 7.0 on the Richter Scale, was shallow – only 6 miles deep, and struck the island’s capitol, Port-Au-Prince, especially hard. The quake, together with the nearly 30 major aftershocks that followed it, have decimated the country. Thousands were crushed in the rubble as buildings collapsed, and one Haitian Senator fears that the quake may have claimed as many as 500,000 people. The quake is the largest earthquake to strike Haiti in a century. According to MSNBC News, the Presidential Palace and most government buildings have been destroyed. The Archbishop of the Roman Catholic Church in Haiti, Archbishop Joseph Serge Miot, was killed. The scene has been described as one of utter devastation. President Obama has pledged ‘aggressive’ help, but the generally poor infrastructure of the country is expected to hamper relief efforts. You can link to President Obama’s remarks here and here. You can link to articles discussing this disaster here and here, as well as MSNBC News here. ROBERTSON: [S]omething happened a long time ago in Haiti and people might not want to talk about it. They were under the heel of the French. Napoleon the Third and whatever. And they got together and swore a pact to the devil. They said, “We will serve you if you get us free from the prince.” True story. And so the devil said, “OK, it’s a deal.” They kicked the French out, the Haitians revolted and got themselves free. But ever since, they have been cursed by one thing after the other, desperately poor. That island of Hispaniola is one island. It’s cut down the middle, on the one side is Haiti, on the other side is the Dominican Republic. The Dominican Republic is prosperous, healthy, full of resorts, etc. Haiti is in desperate poverty. Same island. They need to have, and we need to pray for them, a great turning to God. And out of this tragedy I’m optimistic something good may come. But right now, we’re helping the suffering people and the suffering is unimaginable. Not to be outdone by Rev. Insanity, Rush “the Devil’s Douchebag” Limbaugh, had to get in on the game, saying that President Barack Obama and company would use Haiti to get closer to the “light-skinned and dark-skinned black [communities] in this country” while adding that the U.S. has “already donated to Haiti. It’s called the U.S. income tax.” You can link to a news article discussing these remarks, as well as Robertson’s, here. This entry was posted in Blowhards Who Should Keep Their Traps Shut, Disaster & Human Rights and tagged Add new tag, Barack Obama, Caribbean, earthquake, Haiti, Obama, Pat Robertson, Port-Au-Prince, President Obama, Richter magnitude scale, Rush Limbaugh, Slavery, United States, United States Agency for International Development. Bookmark the permalink. Understandably, a subject like child slavery causes visceral reactions for most people who have any conscience. However, the problem in Haiti is profound poverty dating back to a usurious and imperial restitution scheme imposed on Haiti by France, the effect of which was to force Haiti to compensate France for the loss of its slavery market in Haiti. This has been widely reported in the news, at least the progressive news sources. The repayment was so crippling to Haiti that, by the the 20th century, somewhere in the neighborhood of 80% of Haiti GDP was being spent servicing the French debt. That being said, you want to know what I find remarkable? The Haitians managed to pay it back – every last gold piece. But, by then, the island’s fiscal fate was sealed, which in turn allowed the DuValiers to come to power – which mostly Republican administrations (though not exclusively, certainly) supported and did little to undermine. Enslavement, then financial servitude by their former enslavers, dictatorships and corruption have directly led to the child slavery situation in Haiti. That is no excuse for it, mind you. However, I find it wise to pause, consider that these children were also there when the earthquake struck, which I applaud you for doing at the conclusion of your comment. The U.S. and the U.N. should monitor carefully any money that is sent directly to Haiti to see that it is not siphoned off by those who would use the opportunity for gain.